Covet is proud to be part of the new Articolo lighting showroom in Richmond. 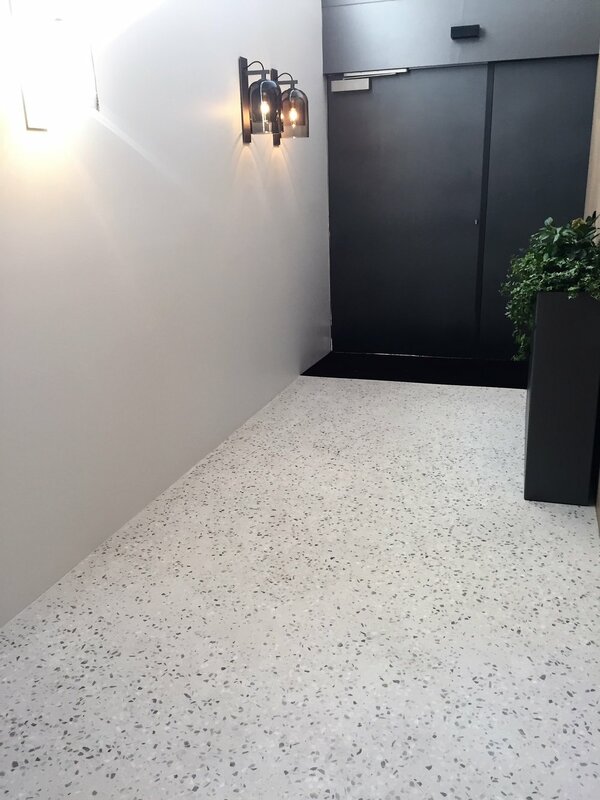 A custom Concrete overlay floor was crafted to suit the modern aesthetic of this space and showcases our new larger aggregate range. The Alabaster base with a custom 14mm Super Off White and Dove Marble blend features in the entrance of the showroom. 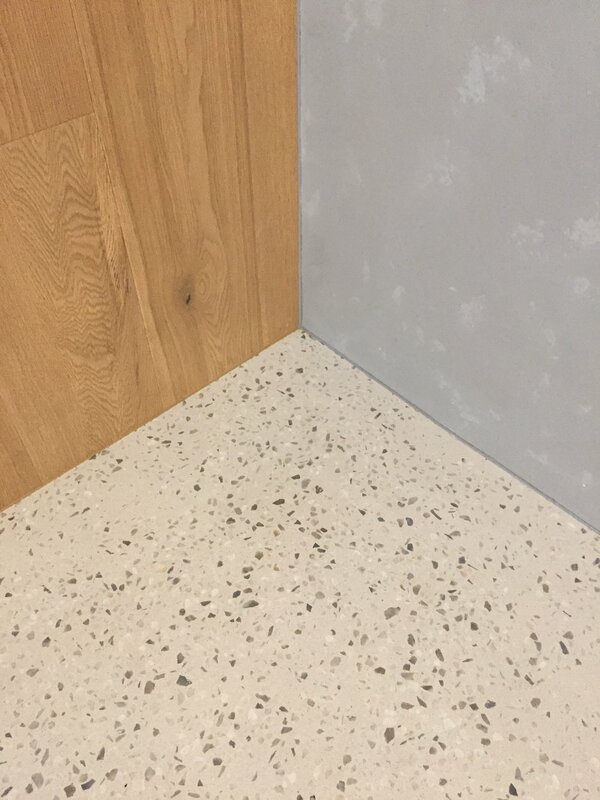 This installation showcases just how highly customisable our 'real' concrete overlay can be. 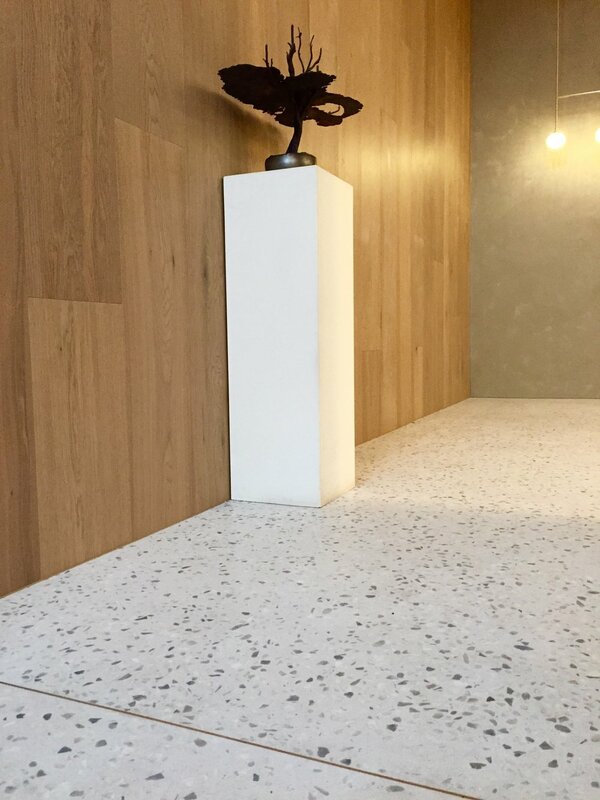 The choice of base concrete colours, combined with the range of aggregate sizes and colours means the possibilities are endless and only limited by your colour palette. *Due to the aggregate size our usual 10mm finished thickness is adjusted to suit the larger aggregates greater than 10mm.